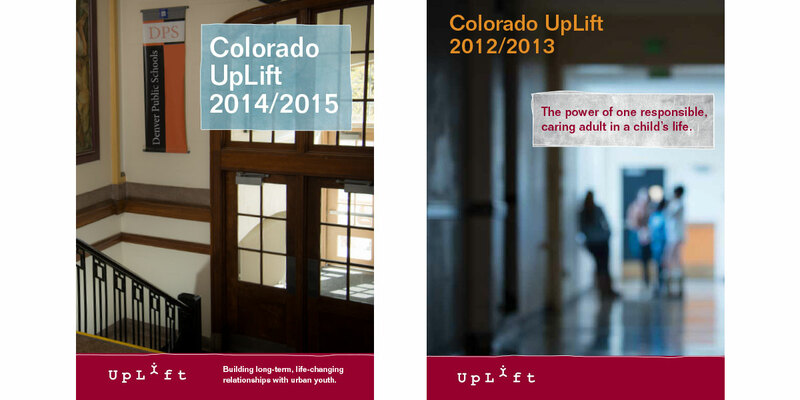 Colorado UpLift is a resource for Denver Public School kids who are at risk for falling through the system’s cracks due to challenges outside of school. I worked with ide8 Marketing to grow their brand identity across marketing materials. 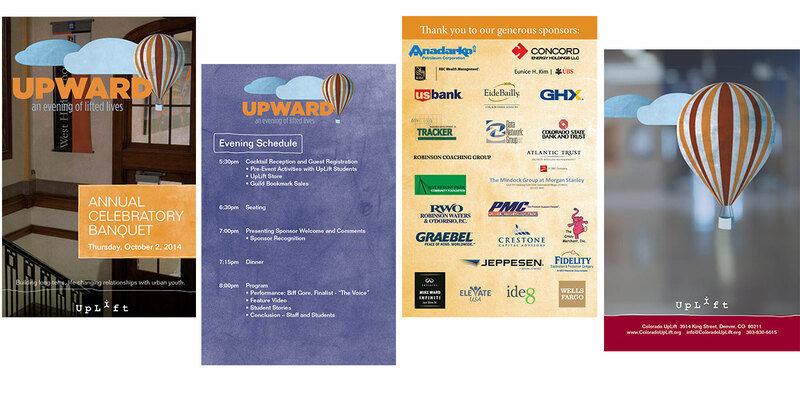 The annual report was the centerpiece of their fundraising efforts at their annual gala. 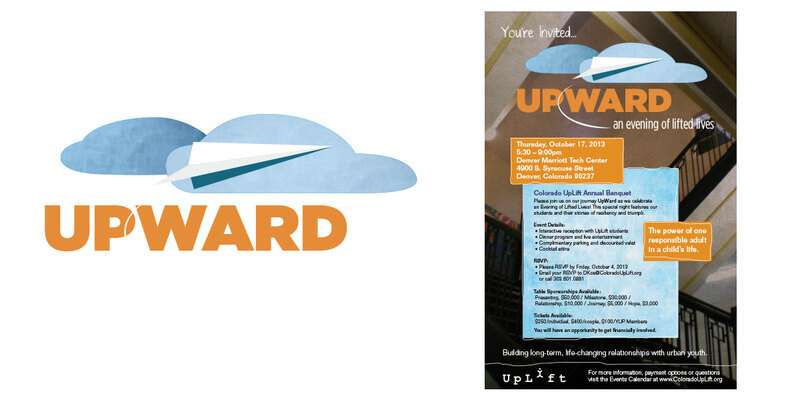 We concentrated on bringing a new congruency to their brand through the annual reports and banquet marketing materials.